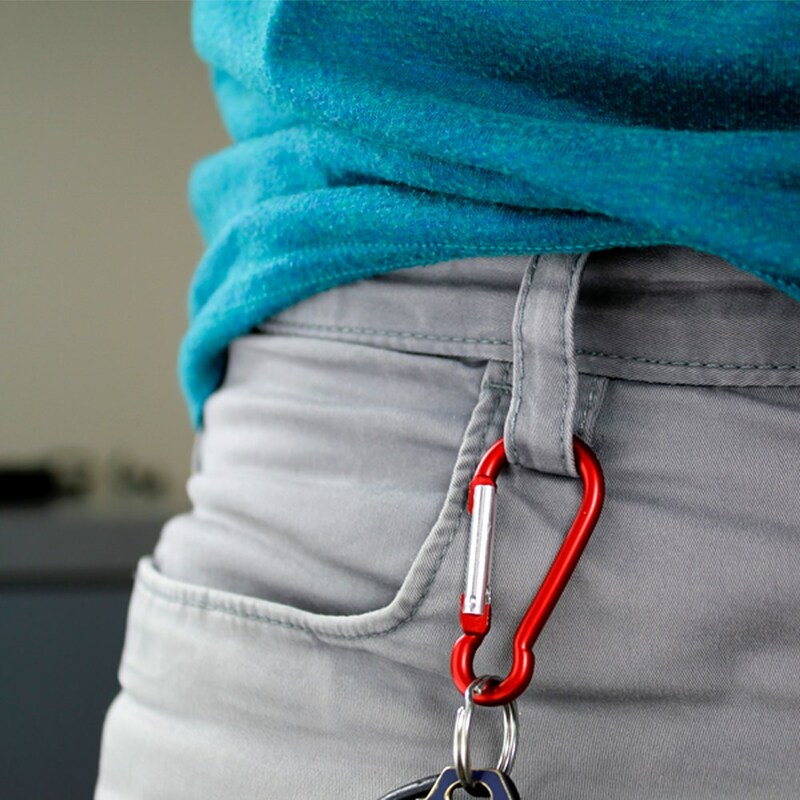 The multi-purpose carabiner has many great uses. Use one as a key clip for your key chain to snap onto your belt loop and never forget your keys again. Snap your favourite USB flash drive onto your laptop bag and always be prepared. These non-locking carabiners have a spring loaded swinging gate that makes it easy to snap onto anything. 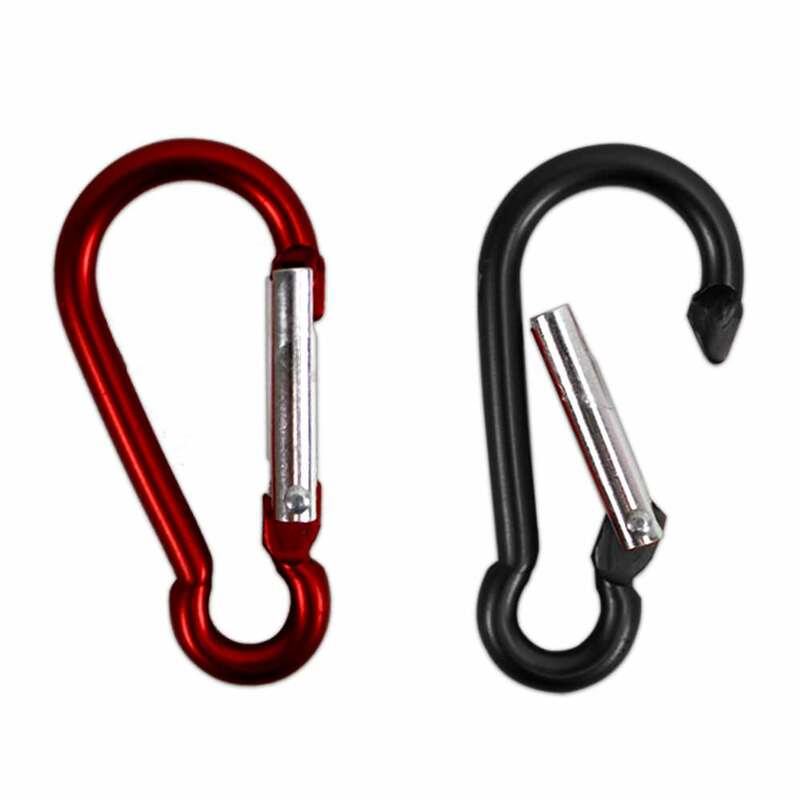 Made from quality aluminum, these carabiners are made to be tough and lightweight and are available in 6 fun colors: Black, Silver, Red, Yellow, Blue and Pewter. 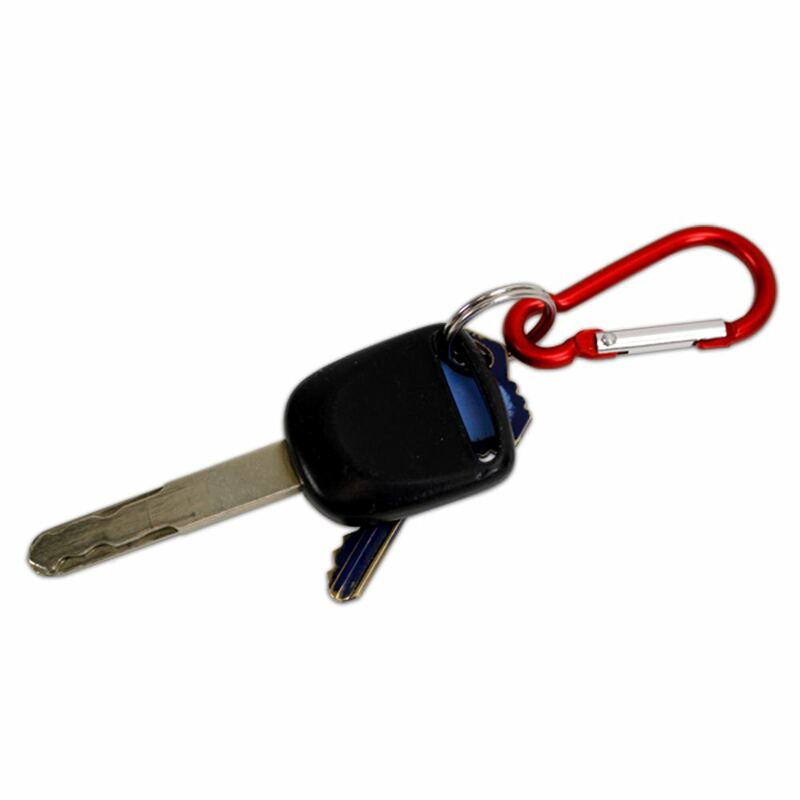 Carabiner-style key rings make a perfect match for rock climbing and outdoor enthusiasts. These Carabiners are not intended for rock climbing. Aluminum carabiners make a great and inexpensive hand out for corporate and promotional events. A carabiner is also perfect for attaching hang tags and adding value to your products. 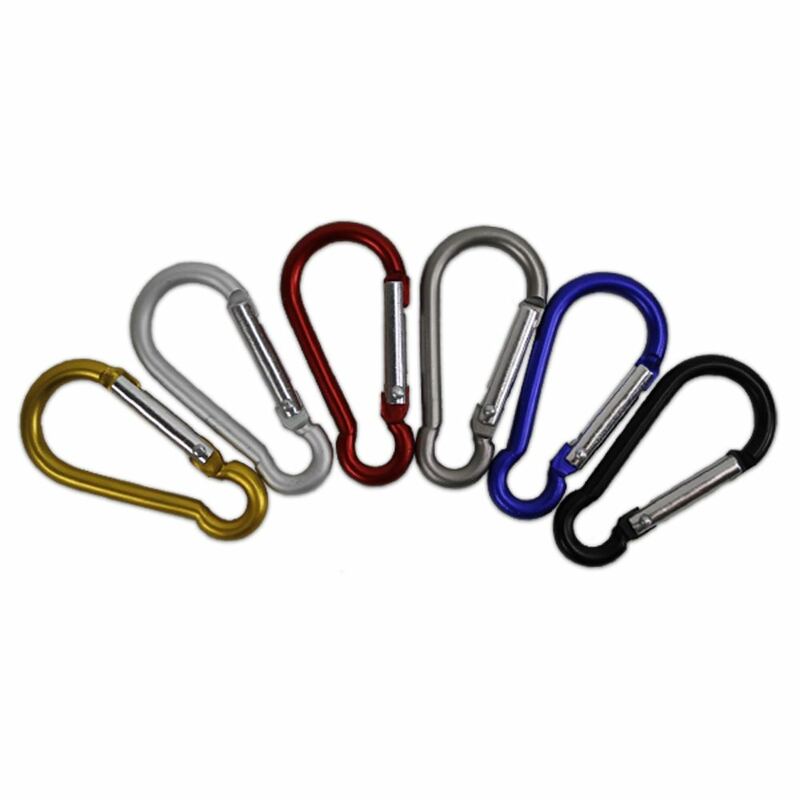 These colorful, metallic carabiners are a excellent accessory for any mobile product and pairs well with key clips, key loops, and key rings. Snap on some color to brighten your day. *Will not hold body weight; not intended for climbing.